Human beings can live 3-6 weeks without food, 2-3 days without water, but only a few minutes in airless space. Our lungs circulate about 3 thousand gallons of air daily, enriching our blood with oxygen. Thus the air we breathe should be clean and safe to provide a healthy long life. The indoor air quality is one of the major problems nowadays. The US Environmental Protection Agency revealed the fact that our indoor environment can be 5 times more polluted than outdoors. The matter is that we live and work in buildings constructed of chemical materials and we use things and substances which release harmful pollutants. Sulfur dioxide as an odourless gas comes from plants producing chemicals, paper or fuel. It causes emphysema and asthma and irritates mucosa membranes. Fortunately, we are not doomed because of the widespread indoor pollution. The home appliance industry provides us with a simple but effective solution to improve our health and well-being. Air purifiers remove contaminants from our indoor environments, preventing us from inhaling the impurities. The only issue is to choose an air purification system according to the requirements. 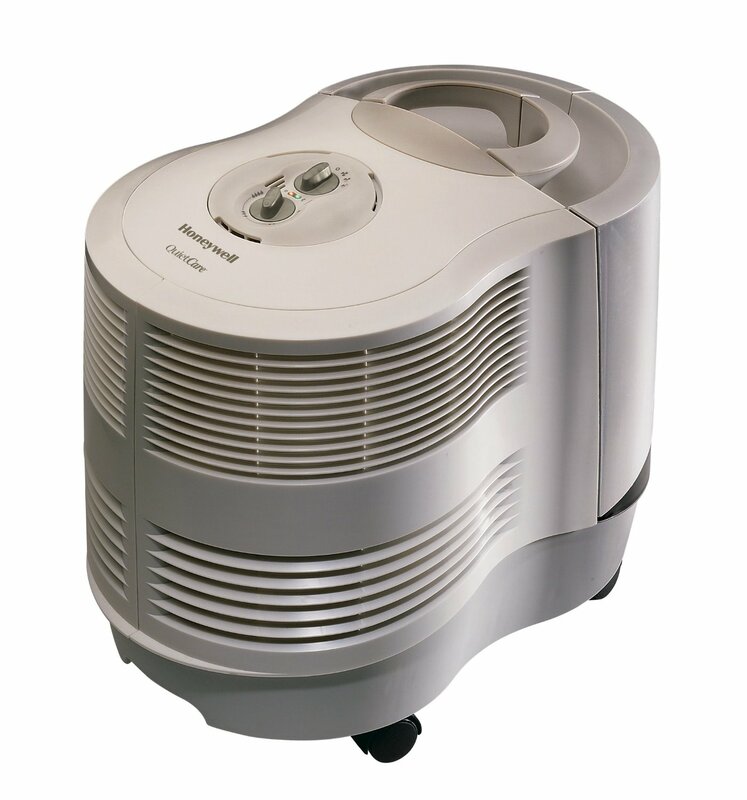 It is a true-HEPA model that eliminates 99,97% of all airborne pollutants, including mold and smoke. The device is equipped with a three-stage filtration system which consists of carbon filter, fine preliminary collector and HEPA filter. The unit covers rooms of up to 320 sq. ft. and its CADR rating is 135+. The cleaner is equipped with LED display and automatic sensors, which switch on and adjust the power settings according to the air quality in your room. There is also a sleep mode with a built-in timer, providing a completely noiseless operation. 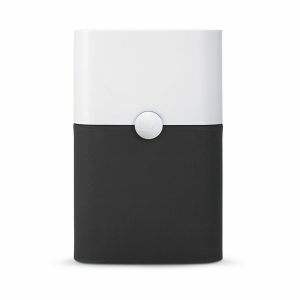 This Levoit LV-PUR131 model is 100% ozone-free that is why it can be used by asthma sufferers. 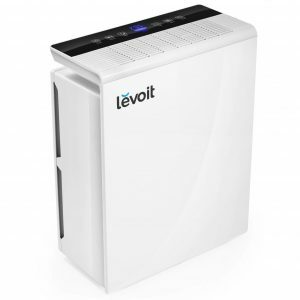 The Levoit LV-PUR131 air purifier is a floor model. It is 18,5 inch high and has a weigh of 11 pounds. The device consumes 40W per hour and can be considered energy efficient if taking into account its operation power. The average retail suggested cost for this unit is about $150. The Air Genius5 features one of the most advanced technologies today. QuietClean captures 99,9% of airborne impurities, offering 5 air purification levels and touch sensitive controls. One can choose: SLEEP (completely silent operation), General Cleaning, GERM (for flue seasons), ALLERGEN (for spring and summer), MAX power. This Honeywell device is Energy Star rated and consumes electricity like an average light bulb. The model is equipped with a permanent Honeywell IFD filter and 2 optional preliminary filters: an odour reducing collector and washable foam collector. The AirGenius 5 is AHAM certified and its CADR values are 160-170 for dust, smoke and pollen. Furthermore, the appliance is also ARB (Air Resources Board) certified and meets all the standards of the federal limits concerning ozone emissions. The BreatheSmart model is ideal for open concept apartments and large spaces up to 1100 sq. ft. 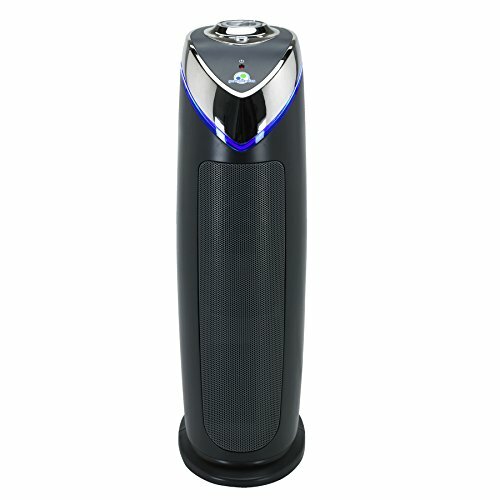 It is equipped with a unique HEPA-silver collector eliminating all the pollutants quickly and effectively. It circulates the air two times per hour and keeps it free from allergens, mold and germs. There are 15 designer panel options for these air purifiers which can complement any décor possible. SmartSensor system automatically detects and adjusts the power settings according to air quality, thereby prolonging filter lifespan and saving energy. With this device you shouldn’t choose between high operation mode and low noise. WhisperMax technology provides a pink noise, masking the disturbing sounds when you are sleeping. The unit consumes 104W on the highest setting and is Energy Star certified. 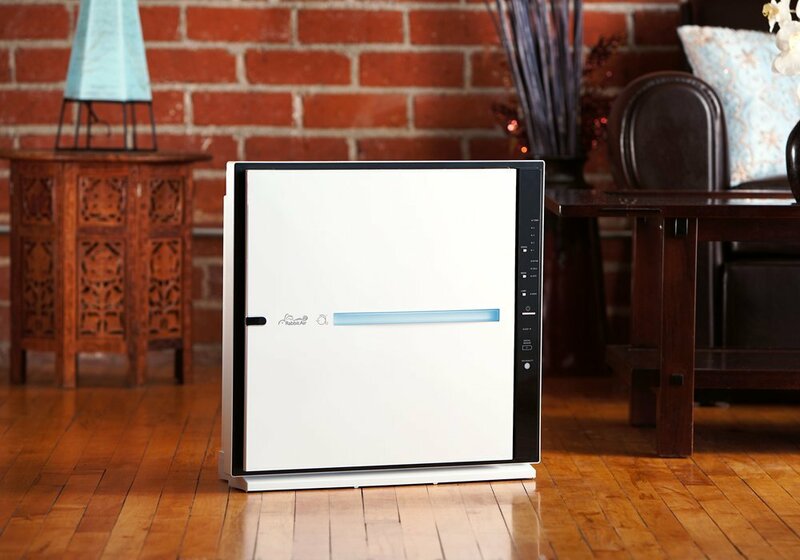 The Alen T500 is highly ergonomic and functional air purifier. It was designed for travelling and can be carried from one place to another, covering spaces up to 500 sq. ft. The model is customizable, as it offers 4 different HEPA–type filter formats: HEPA Pure, HEPA-Fresh, HEPA-Silver and HEPA-OdourCell. The filter should be replaced once per year or when the indicator lights up. The unit has a small footprint due to its tower-shape and will operate greatly in every corner. Moreover, if you are looking for an energy efficient device, T500 would be a perfect pick as it consumes just 53W on highest setting. Alen provides a lifetime warranty for this model, but remember it is valid in the USA and Mexico only. 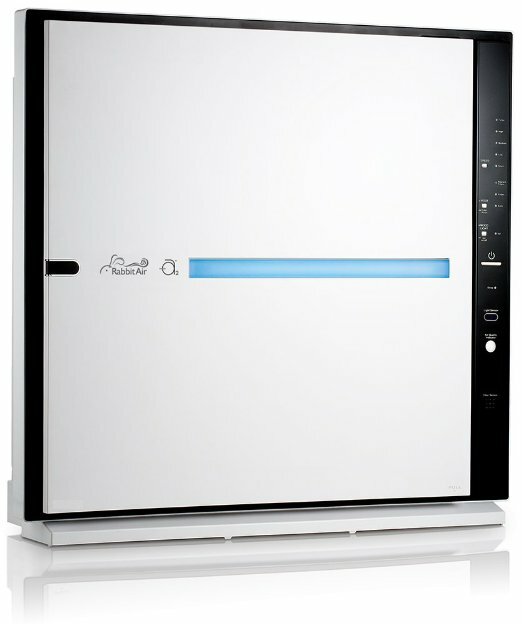 The BlueAir Pure 211+ captures 99% of airborne impurities. Its activated carbon collector eliminates unpleasant odors and even VOCs. It provides high cleaning performance in large rooms up to 500 sq. ft., but its power carries one of the largest lifetime cost. The device has 350 CADR and these are the highest numbers for the tested models. The BlueAir has a single button which lets you turn it on or off and adjust the fan speeds. The system is equipped with activated carbon collector and a washable preliminary filter to remove the largest particles from the environment. Despite of powerful performance this air cleaner operates almost silently, making just a quiet hum, which is unnoticeable by most customers. 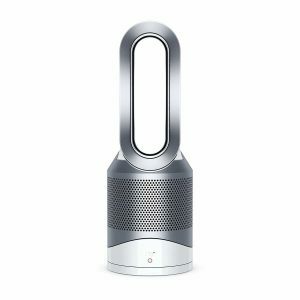 The Pure Cool air purifier from Dyson has dual function. It can purify and operate like a fan in hot weather. The 360° HEPA filter eliminates all known airborne impurities and the second carbon layer captures all household smells, harmful toxins and gases. Intelligent purification system monitors and adjusts and effectively purifies the environment. Then the air quality report appears in your Dyson link application, so you can control your indoor air remotely. The night mode also monitors and reacts with changing settings and making LED display dim for your calm repose. Another outstanding feature is Voice Control. You can command your Dyson Pure Cool with the help of Amazon Echo. The Air cleaner has a slim tower design of 40.1 inches and looks like an extremely attractive high-tech device. This Dyson model is distinguished by triple functionality. It can purify all year round, serve like a fan in summer and heat in winter. 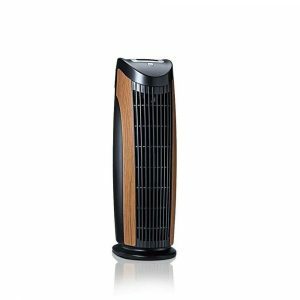 It is equipped with HEPA filter, which has a 4300 hours lifespan and a carbon layer, capturing gas and smells. The device is awarded Asthma and Allergy Friendly certificate as well as QuietMark accreditation. The model monitors your environment and reacts accordingly. You can control your air purifier from your smartphone by using Dyson Link application. There are no fast spinning blades which can harm children’s fingers or your pet’s paws. 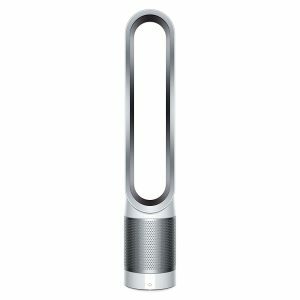 Like Dyson Pure Cool, this model also boasts automatic night setting and voice control. The air cleaner is 25 inches height and has a 360° air intake. The reviewers report it is an extraordinary model with a perfect operation features and original design. The variety of air purification systems can seem completely overwhelming. But there are actually only 5 types of air cleaning technologies today. Each of them eliminates indoor air impurities according to its specific principles. 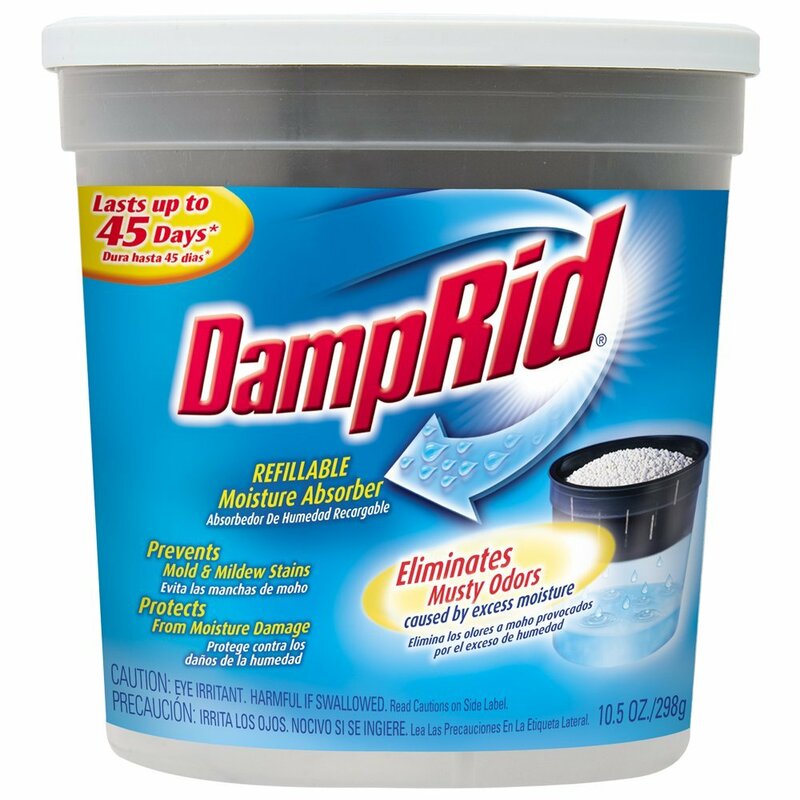 Removes nearly all known contamination: mold spores, fungi, pollen, pet dander etc. Highly efficient, preventing many respiratory problems. Requires regular replacement to maintain high performance. Can emit ozone, which can cause asthma symptoms. Electronic air purifiers create an electrical field to capture impurities. Such devices are very power efficient and eliminate dust and pet dander rather effectively. However they are not designed to remove chemicals, mold or smoke. What Contaminants Can Air Cleaners Eliminate? If you are looking for a purifying device, you should focus on your requirements. Not all the air cleaners are designed to eliminate all the types of contaminants. Therefore you should determine what problem you are going to solve. First of all you should consider your air quality. You have also take into account whether you suffer from allergies or asthma. In this case it is better to choose HEPA system of filtration, which is considered the best for allergy relief comparably to other technologies. If your asthma is triggered by smells or some chemicals, you can seek for special odour air purifier. There are also some models for asthmatic people precisely. Smoke air purifiers are designed to remove fumes, fireplace soot and other smoke which aggravate respiratory conditions. There are also devices for pet owners. These units eliminate pet dander, odors and hair. If you require an all-purpose device to create a healthier environment for your family, just choose True HEPA and consider your room size, design and filtration features. 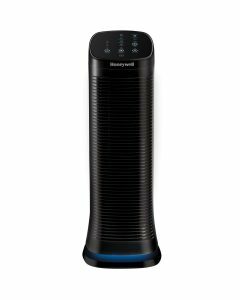 Note if you have faced with double problem of dirty and too humid air you are better to get dehumidifier https://dryairguide.com/ with air cleaning option. In order to choose the size of a purifier you need, you should consider the space of your room. Purchase a device with the same or a bit larger coverage feature than your square footage requires. In this case you get maximum performance from your unit. You’ve already chosen a type and a size of your air cleaner, and now think whether you need some special features. The manufacturers offer a number of extra characteristics such as: digital or remote control, filter life indicators, timers, sensors, handles and wheels etc. Warranty – guarantees the reliability of your unit. Most air purifiers’ manufacturer offer 5-year warranty. Choosing a matching air purifier is not enough. Its performance depends on several factors, which should be thoroughly taken into account. All air cleaners should have some feet around for a good air circulation. It is not allowed to put the device under the table or too close to a wall or furniture. If your room is spacious, it is required to direct the air flow to the most advantageous place. If the room is not big, this aspect is not so important. This is an especially good advice for home owners with respiratory conditions, smokers, pet owners or families with small children. Almost all the purification devices today are energy efficient. So leave it switched on when you are absent. Follow all manufacturer’s recommendations concerning filter changing. HEPA and carbon collectors should be replaced annually. Reusable filters need washing once a week or so. Of course, an air cleaner is not able to purify all the outdoor environment. That is why it is recommended to limit the outside air ingress into the room. 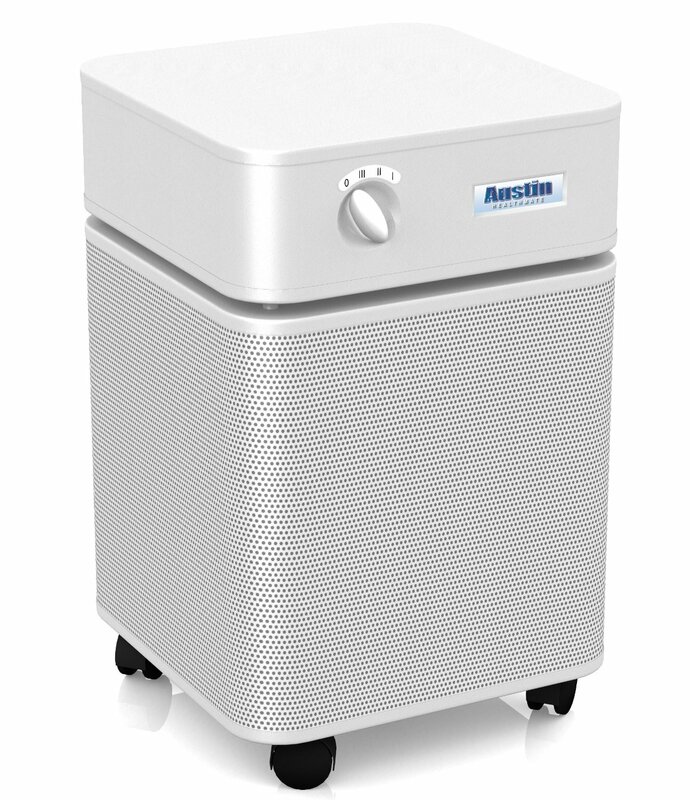 Regular maintenance of the air purifier guarantees its reliable performance and a long life. Naturally, the definite amount of money resources is required to keep the device in good working order. The air purifiers don’t work like TV, according to the principle “set it and forget it”. The filters should be replaced or washed in time, depending on the level of your indoor environment pollution and manufacturer’s recommendations. You will notice that your home surfaces don’t accumulate dust any more. Dust mites will lose their natural habitat and will leave your dwelling forever. The price of an air purification system can vary from $100 to $1000. Generally, all these devices operate in a similar way. The difference is in power, filter type, design and reliability. You might have noticed, that high-tech features like sensors or remote control add several hundred dollars to the average cost. The best way is to choose a matching device for your individual requirements. Extra features are very convenient but are not so obligatory. – How can I be sure that my air purifier is really working? You will notice that your room surfaces become much cleaner. There are no airborne particles in the sun light and your breath becomes easier. Allergy and asthma sufferers feel relief. – When should I replace or wash filters? Filter replacement is usually determined by a manufacturer. HEPA filters should be replaced annually, but this can depend on the model and the brand. Some devices have special indicators which light up when the collector is dusty. – How many air cleaners do I need? Theoretically, it is better to have a unit in a living room, in a bedroom and in the nursery if any. However, you can buy one portable model and carry it around the house with you. 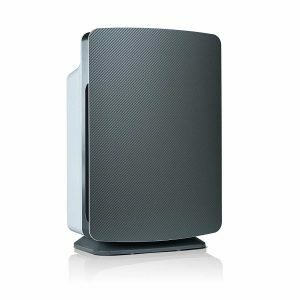 – How loud is air purifier? The noise level depends on the model and the fan setting. It is better to run a device on high speed when you are out. On lower or night modes almost all the cleaners are completely silent. – What are the side effects of air cleaner? If your air purifier is ozone free, there can’t be any side effects except your improved well-being. Purchase devices of good reputable brands, which do not offer models emitting unpleasant odors, chemicals or ozone into the environment. By purchasing an air purifier, you obtain a comfortable and safe home atmosphere. Choosing the right device for your dwelling will contribute to the well-being of all your family. If you maintain the unit properly, your lungs will experience the purest and cleanest air possible.